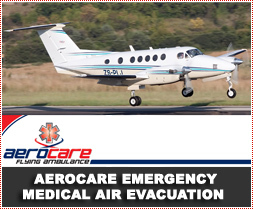 Aerocare operates from the base of operations at Bloemfontein International Airport with 2 dedicated aircraft and crew, namely a Pressurized Beach craft King Air 200 capable of a speed up to 500km/hr and a range of 4000km.  This plane has a permanently installed dual ICU stretcher with 2 patient capability, primarily focused on performing regional missions in Southern Africa and also neighboring countries, incl. Botswana/Namibia/Mozambique and Zambia. children 20 - 80% • adults 30 - 80% • burns of the face with inhalation injury Our program is based on the philosophy of ‘the most appropriate resource for the particular requirement’.